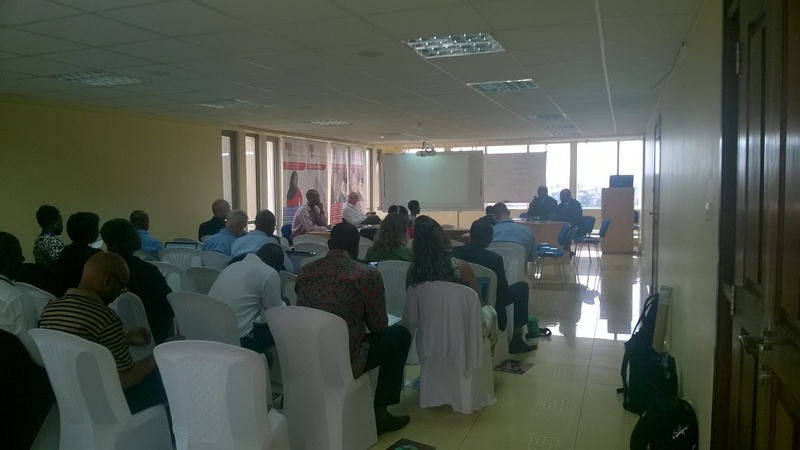 Sub Saharan African local government and SDG 7 – is there a link? 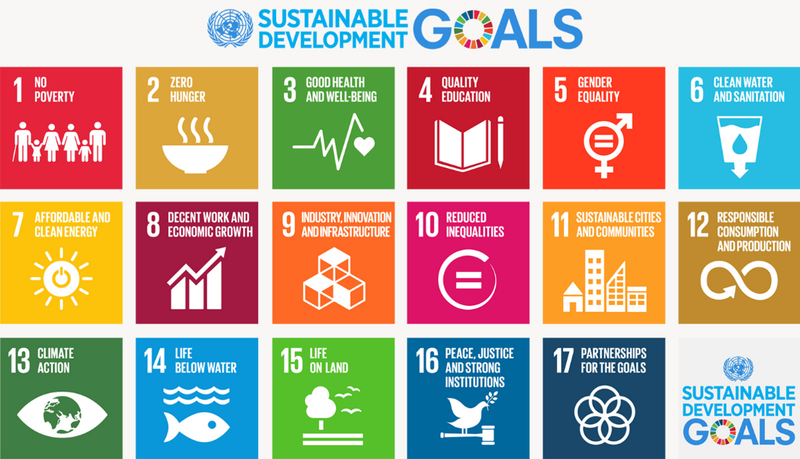 Megan Euston-Brown from SEA writes on the importance of considering local government spheres in sustainable energy development in light of the recent UN Sustainable Development Goals 7. Building an urban energy picture for Sub Saharan Africa (SSA) is a relatively new endeavour, but policy makers would do well to take heed of the work underway . The emerging picture indicates that current levels of energy consumption in the urban areas of SSA is proportionally higher than population and GDP . These areas represent dense nodes of energy consumption. Africa’s population is expected to nearly double from 2010 to 2040 with over 50% of population urbanized by 2040 (AfDB 2011). Thus by 2040 it is likely that well over 50% of the energy consumed in the region will be consumed within urban areas. Strategies to address energy challenges – notably those contained within SDG 7 relating to the efficient deployment of clean energy and energy access for all – must therefore be rooted in an understanding of the end uses of energy in these localities for effective delivery. Analyses of the end uses of energy consumption in urban SSA generally indicate the overwhelming predominance of the transport sector. Residential and commercial sectors follow as prominent demands. Cooking, water heating, lighting and space cooling are high end use applications. Industrial sector energy consumption is of course critical to the economy, but is generally a relatively small part of the urban energy picture (either through low levels of industrialisation or energy intensive heavy industries lying outside municipal boundaries). Spatial form and transport infrastructure are strong drivers of urban transport energy demand. Meeting the ‘low carbon’ challenge in SSA will depend on zoning and settlement patterns (functional densities), along with transport infrastructure, that enables, continues to prioritise and greatly improve, public modalities. These approaches will also build greater social inclusion and mobility. The high share of space heating, ventilation and lighting end uses of total urban energy demand points to the significant role of the built environment in urban end use energy consumption. These drivers of energy demand are areas that intersect strongly with local government functions and would not be addressed through a traditional supply side energy policy . Understanding the local mandate in this regard will be important in meeting national and global sustainable energy targets. The goal of access to modern, safe energy sources is predominantly a national supply-side concern. However, with the growth of decentralised systems (and indeed household or business unit scale systems being increasingly viable) local government may have a growing role in this area. In addition an energy services approach that supplements energy supply with services such as solar water heating, or efficiency technologies (e.g. LED lighting), may draw in local government as the traditionally mandated service delivery locus of government. Existing functional areas where local government may have a strong influence in supporting national and global SDG 7 (sustainable energy) targets include: municipal facilities and operations, basic services (water, sanitation, and in some instances energy/electricity) and service infrastructure, land use planning (zoning and development planning approval processes), urban roads and public transport services and building control. Where local government has a strong service delivery function it is well placed to be a site of delivery for household energy services and to play a role in facilitating embedded generation. New technologies may mean that smaller, decentralised electricity systems offer greater resilience and cost effectiveness over large systems in the face of rapid demand growth. These emerging areas will require policy development and support. In practice the ability of local government to respond to these mandates is constrained by the slow or partial implementation of administrative and fiscal decentralisation in the region. Political support of longer-term sustainable urban development pathways is vital. Experience in South Africa suggests that the process is dynamic and iterative: as experience, knowledge and capacity develops locally in relation to sustainable energy functions, so the national policy arena begins to engage with this. Thus, while international programmes and national policy would do well to engage local government towards meeting SDG 7, local government also needs to proactively build its own capacity to step into the space. 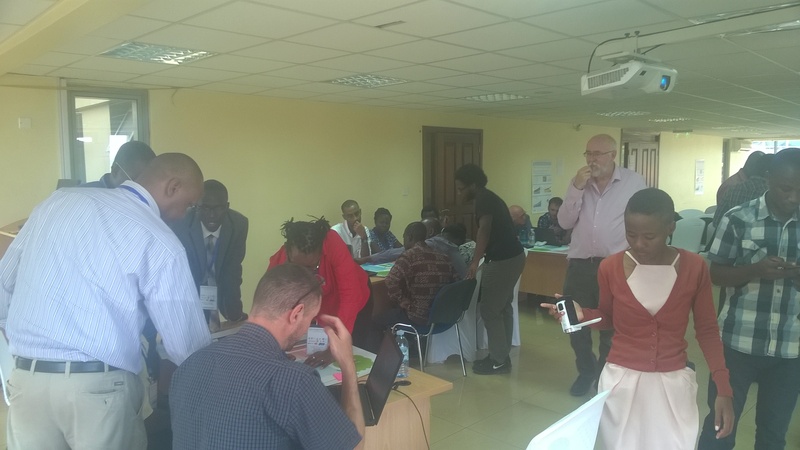 In South Africa this work has been underway since 2003; SAMSET is pioneering such work in Ghana and in Uganda and the World Bank’s ESMAP has explored this area in Ghana, Ethiopia and Kenya. SAMSET is also undertaking a continent-wide urban energy futures model. Working Paper: An exploration of the sustainable energy mandate at the local government level in Sub-Saharan Africa, with a focus on Ghana, South Africa and Uganda. 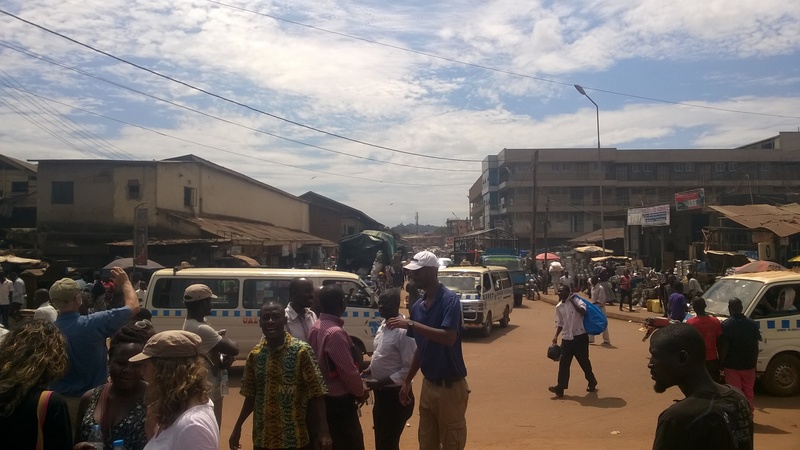 Euston-Brown, Bawakyillenuo, Ndibwambi and Agbelie (2015). Noting that not all drivers of energy demand intersect with local government functions, for example, increasing income will drive a shift to energy intensive private transport; and that population and economic growth will always be the overarching drivers of demand. 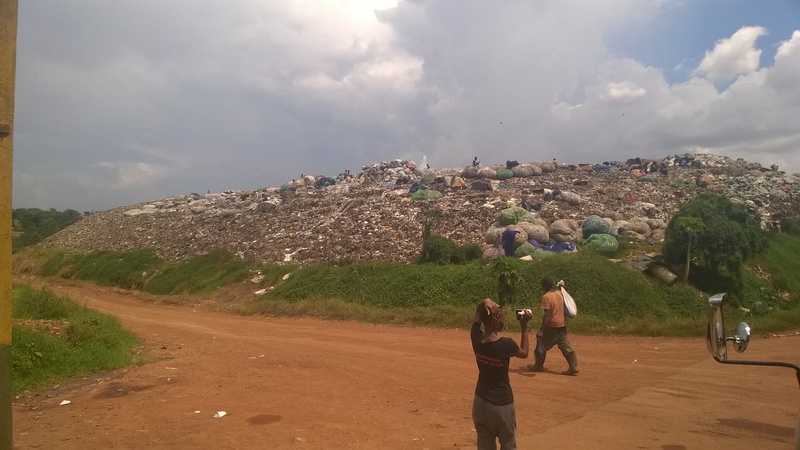 This entry was posted in Sustainable Energy Africa and tagged African Municipalities, Ghana, Local Government, Municipal Energy Planning, Municipal Governance, Municipalities, SAMSET, SDG7, South Africa, Sub-Saharan Africa, Sustainable Development, Sustainable Development Goals, Sustainable Energy, Uganda, UN SDGs, Urban Energy, Urban Energy Demand on July 19, 2016 by danielkerrucl. Ongoing ‘Decreasing International Solar PV Prices’. Simon Batchelor from Gamos writes to continue the theme of global solar PV prices, and their continuing price reduction. 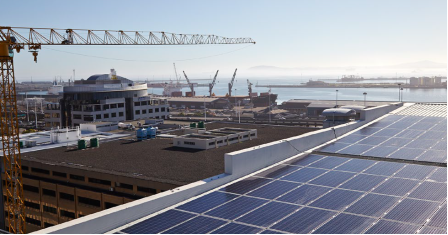 In his blog on Decentralised Solar PV Acceleration in South Africa, my colleague, Mark Borchers, noted that “Where national grid power prices are rising fast, as is the case in many African countries, the decreasing international solar PV prices will sooner or later lead to a situation where it makes sense for businesses to install their own grid-connected rooftop systems.” In a blog last year “Will Solar Photovoltaics Continue to Decrease their Cost?” we shared some insights into the ‘decreasing international solar PV prices’. It is well worth keeping an eye on this price descent of solar, and this blog takes the opportunity to refer to a new report by IRENA – The International Renewable Energy Agency. The report “THE POWER TO CHANGE: SOLAR AND WIND COST REDUCTION POTENTIAL TO 2025” focuses on utility scaled activities, nevertheless they present an up to date analysis of solar photovoltaics and suggestions of costs through to 2025. They confirm that solar PV modules have high learning rates (i.e. cost reductions as technology manufacturers accumulate experience) (18% to 22%) and rapid deployment – there was around 40% growth in cumulative installed capacity in each of 2012 and 2013 and around 30% in 2014 and 2015. These factors resulted in PV module prices declining by around 80% between the end of 2009 and the end of 2015. In 2011, price declines accelerated as oversupply created a buyer’s market. The price declines then slowed between 2013 and 2015 as manufacturer margins reached more sustainable levels and trade disputes set price floors in some markets. Current country average module prices range from USD 0.52 to USD 0.72/W. They believe that module costs are set to continue to fall, and they state that by their reckoning, module costs will have dropped by 42% by 2025. However these module costs are only part of the system costs. IRENA shows that there are considerable gains to be made by reducing all the other system costs. 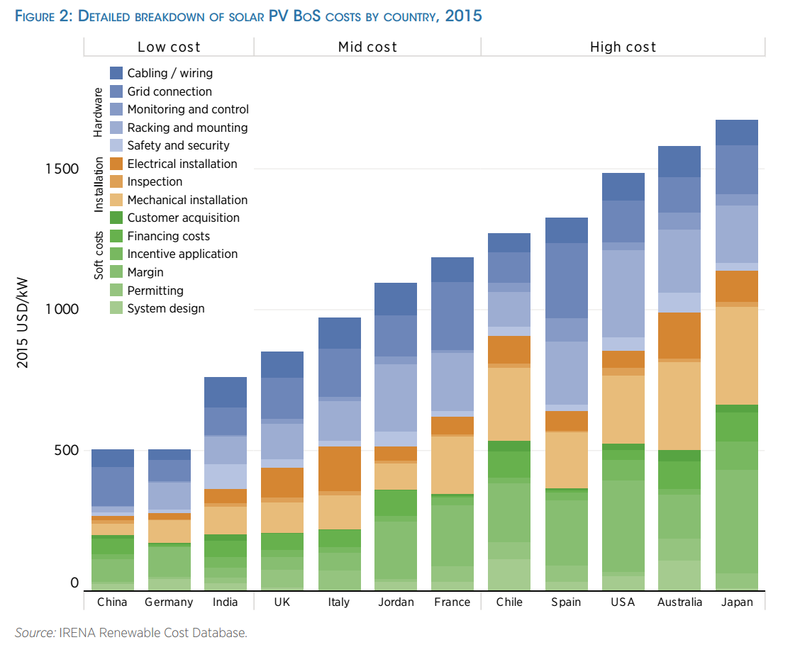 In their figure 2 (see below) they show some of the balance of system costs for various countries of utility scale PV projects. It is interesting to note that the difference between China and Germany on the one hand and Australia and Japan on the other is a factor of 3. The report suggests that there is considerable room for reducing these balance of system costs further and it is improved efficiencies of installation that will continue to drive the system prices down. The report also considers the levelised cost of electricity (LCOE), which takes into account the lifetime of the system, the ongoing operation and maintenance costs, as well as the capital investment. They note that the LCOE of solar PV fell 58% between 2010-15, making it increasingly competitive at utility scale. Of course looking ahead there are many unknowns, however their predictions are that utility scale PV could have project costs in the range of USD 0.03 to USD 0.12/kWh by 2025. This general trend highlighted by the report in the context of utility scale PV nevertheless supports Mark Borchers’ observations on shopping malls and PV. He noted that “a combination of steadily reducing international solar PV prices and consistently higher-than-inflation electricity price hikes” was behind the decision to put solar PV on malls, and that “such installations are now a financial no-brainer – giving an 18% internal rate of return (IRR) with a 5 year payback”. While the IRENA report had a slightly different focus (scale of PV), it nevertheless confirms that PV is likely to continue its price descent, making the IRR for shopping malls in South Africa even better in the coming years. Mark ends his blog by stating that since this is financially worthwhile, and will inevitably become even more so, he calls for urban areas to think about the “big implications for sustainable energy planning”. We echo that call. This entry was posted in Gamos and tagged China, Cost of PV, Cost of Solar, Gamos, Germany, Grid Electricity, Internal Rate of Return, International PV Prices, IRENA, IRR, LCOE, Levelised Cost of Electricity, Photovoltaics, PV, Renewable energy, Renewable Energy Costs, SAMSET, Solar, Solar Cost Breakdown, Solar Energy, Solar Modules, Solar Power, Solar PV on June 20, 2016 by danielkerrucl. Mark Borchers from SEA writes on a recent visit to an embedded photovoltaic generation project in a commercial building, and the insights into the industry acceleration gained there. I recently visited a shopping mall in Tshwane, South Africa, which had installed a grid-connected solar PV system on its roof (called an ‘embedded’ generator – because it is embedded in the local distribution grid). This is not unusual in the country nowadays, and estimates are that over 1000 embedded, distributed PV systems are in existence around the country, generating 40 to 50 Megawatts during the day. But I was struck by the fact that the mall developer said that for them such installations are now a financial no-brainer – giving an 18% internal rate of return (IRR) with a 5 year payback (whereas the decision to build a mall only requires a 10% IRR). So they intend to do these installations on all malls they construct. What’s behind this trend? Largely a combination of steadily reducing international solar PV prices and consistently higher-than-inflation electricity price hikes. Also, mall and other commercial operation load profiles tend to match solar PV generation quite well, being daytime-peaking. 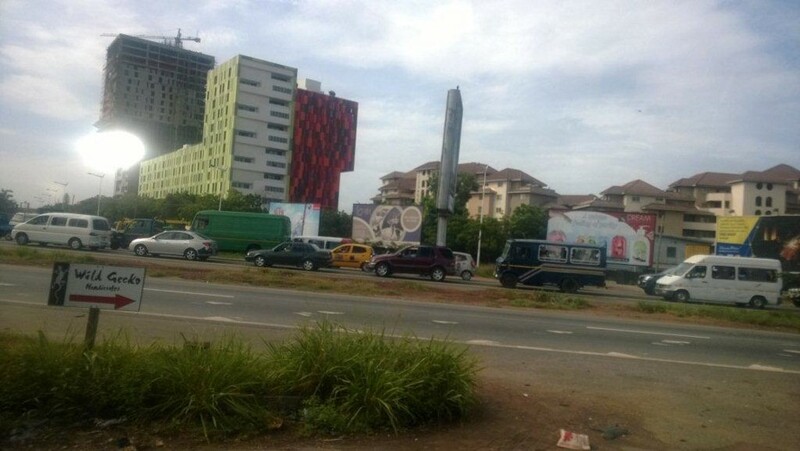 While national government and most municipalities do not yet have clear regulatory frameworks to accommodate such installations, the financial case particularly in the commercial sector is such that they are happening anyway, leaving the government to catch a horse that has already bolted from the stable. A few quick calculations show that mall construction alone is likely to add 6 or more Mega-Watts (MW) of solar PV to the country’s electricity grid capacity per year. Others estimate that 500MW per year could be added from these embedded PV systems from all sectors. That’s about 1% of the total national generation capacity per year, which is significant, and something that national electricity planners will have to take seriously. This is a development we need to keep an eye on in urban Sub-Saharan Africa as a whole. 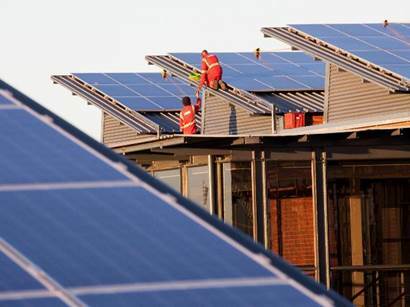 Where national grid power prices are rising fast, as is the case in many African countries, the decreasing international solar PV prices will sooner or later lead to a situation where it makes sense for businesses to install their own grid-connected rooftop systems. And this is likely to happen irrespective of what government or utilities do, or don’t do, about it. It’s an inevitable transformation of the power sector which has big implications for sustainable energy planning in urban areas. This entry was posted in Sustainable Energy Africa and tagged Commercial Energy, Embedded Generation, Photovoltaics, PV, PV Acceleration, PV Development, Renewable energy, Rooftop PV, SAMSET, SEA, Solar, Solar Energy Market, Solar Energy Prices, Solar Energy Trends, Solar Market, Solar Pricing, South Africa, Sustainable Energy Africa on June 8, 2016 by danielkerrucl.